According to Wikipedia, Jaffa Cakes were in 2012 'the best selling cake or biscuit in the United Kingdom'. But this just raises the question: are they cakes or biscuits? 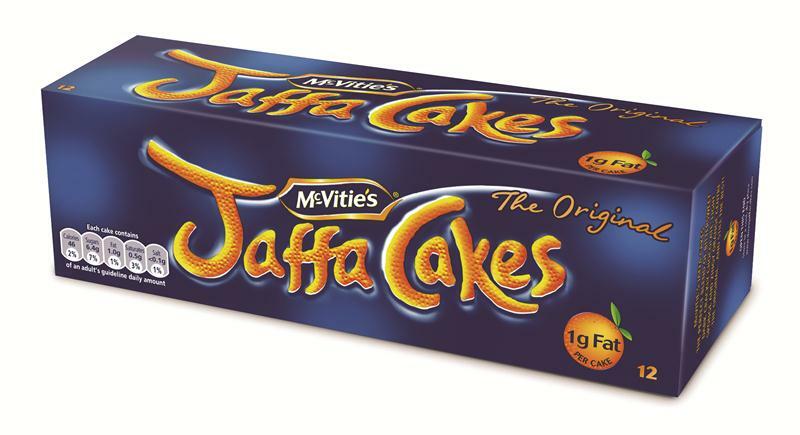 Jaffa Cakes had always been classified as cakes by their manufacturer, McVities. VAT is not charged on biscuits or cakes, but it is charged on chocolate covered biscuits. In 1991 HM Customs and Excise (as HMRC was then called) challenged this classification of Jaffa Cakes. The case went to court and the adjudicator Mr Potter QC judged that Jaffa Cakes are cakes. Here is his brilliant conceptual analysis of cakes and biscuits. “I now list the facts and considerations that I have taken into account in arriving at my decision. 1. Name. This is a very minor consideration indeed. 2. Ingredients. Cakes differ widely, from at one end sponge cakes, at the other Christmas cakes, which may appear to have little in common. However the ingredients of the sponge part of the Jaffa Cake are virtually the same as the ingredients of a traditional sponge cake. Egg, flour and sugar are kneaded together, and the result is aerated. The sponge-cake part of a Jaffa Cake is in itself "cake". 3. Texture. Reference was made by the witness Mr Wood to texture, but he regarded visible texture as important; what I have in mind is the physical texture. Generally, I would expect a cake to be entirely or mainly soft and friable, not able to be snapped and not crisp. The Jaffa Cake has the texture of a sponge cake, which the brittleness of the chocolate does not displace. 4. Size. The Jaffa Cake is small, being a couple of inches across, substantially smaller than the average cake. Generally I would expect a biscuit to be smaller than a cake, and the size of a Jaffa Cake is typical of a biscuit and not typical of a cake. 5. Packaging. Jaffa Cakes are packaged in a way that I regard as "uncakelike". They are sold in packets of 3 or 6 or 12 or 24; in any event in cylindrical packets, much like Digestive biscuits, which packets are then contained in cardboard boxes. This factor clearly points against Jaffa Cakes being cakes. 6. Marketing. Generally, in supermarkets, where cakes and biscuits are found in separate places, Jaffa Cakes are found with biscuits and are not found with cakes. The buyer will be unlikely to find Jaffa Cakes on a cake counter. 7. The sponge part of a Jaffa Cake is made from a thin batter containing egg, flour and sugar, whereas most biscuits may be expected to be made from a rather thicker mixture that may be cut. Generally cakes may be moulded from a thin batter whereas biscuits may not be moulded but cut. However, I do not regard this as an important factor. 8. A Jaffa Cake is moist to start with and in that resembles a cake and not a biscuit; with time it becomes stale, and last becomes hard and crisp; again like a cake and not like a biscuit. Generally I would expect a stale biscuit to have become soft. 9. Jaffa Cakes are presented, and accepted by the public, as being snacks, normally eaten with the fingers; whereas a cake, although sometimes eaten with the fingers, is normally to be found eaten from a plate, perhaps with a knife or pastry fork. 10. Jaffa Cakes may be expected to appeal particularly to children, who may consume one of them in one, possibly two, mouthfuls. In this respect it resembles a biscuit or a sweet. 11. The sponge-cake part is not simply a base for the jam and chocolate; it is a substantial part of the product, not in flavour, but in bulk and texture when eaten. 12. Generally, I come to the conclusion that Jaffa Cakes have characteristics of cakes, and also characteristics of biscuits or non-cakes. I conclude that they have sufficient characteristics of cakes to qualify as cakes within the meaning of item number 1 in group 1 of the fifth schedule. If it be relevant, I also determine that the Jaffa Cakes are not biscuits. Thanks to Paul Connolly for telling me about Mr Potter QC's ruling, and for discussions of the philosophical significance of tax law.